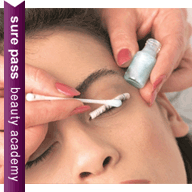 This is by far our most popular beauty course. Learn how to create beautiful looking lashes with this intense full day training session. Using brands such as Marvel-lash, Lash Fx, and EyeLash Emporium, you will develop the skills to produce great lash extensions with individual lashes. The course is not brand specific, which means you will have the freedom to choose which brand you want to work with when you build your own kit. 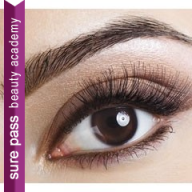 Create wow lashes with this one day individual semi permanent eyelash extensions training course. This is a FULLY ACCREDITED professionally recognised course. We will provide all the tools and products on the day of your training for you to use. 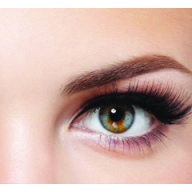 You will learn all you need to know when it comes to perfecting those beautiful lashes. It takes times to become competent, and so lots of practice is needed. You will complete this course with the confidence and skills you need to succeed. You will be taught about the different types and brands available on the market, and we will assist in where to start when in comes to choosing the right kit. You will be working on a training head for this course, you will be required to complete case studies by practicing on friends/family in your own time. Great news, we have a professional kit available for you to buy and take away on the day of your training, contact us now to pre-order yours. Extremely helpful and comfortable. Definitely leaving confident. Very welcoming and calm environment. very good training, A lot of information and good tips! Brilliant, helpful, helped every step and gave positive feedback throughout. Fantastic and informative got such great advise on products and pages. Trainer 5 stars, course 4 stars. Extremely relaxed course and was made to feel at ease. Danielle was very helpful and delivered all the information well. Thoroughly enjoyed this course, I can't wait to purchase my kit and get practising and get my case studies done. I think that I gained necessary knowledge about lash extensions. I really liked the atmosphere during the course. Very friendly, informative and helped by giving feedback throughout the practical. Great teacher and very patient. I liked being able to sample all the different lashes. Really good, helpful course. I am really happy with it. Danielle was very informative and helpful I really enjoyed the course. Trainer was fantastic ! Really laid back. Really informative, all questions answered, I am feeling confident and cant wait to start practising! Kirsty explain everything really clearly and helped us lots. I feel very confident to complete a full set of lashes. Really pleased with todays course, I feel confident with knowledge on products and tools. Good information on befpore and after care. Excellent course good informative instructions easy to understand and answerd all questions well. Really enjoyed the course felt at ease and comfortable. I really enjoyed the cpourse. Cheryl made me feel at ease and able to ask any questions i wanted to. Cheryl is a lovely lady, explained everything really well and found it relaxing enjoyable day. Been here to do a course twice now and both times it has been clear to understand and quick to get into practising. Very thourough will be attending another course soon! .I was the only one that attended the course but i liked it because i got one to one training. This is my second course with surepass and i cant wait to book my next one! Brilliant course, Cheryl wass lovely very supportive. informative course, really enjoyed it, lovely tutor! Lovely tutor, great course, learnt lots like always ! Great course, was able to get on at your own pace, learnt some great techniques, thank you. Very good/Excellent with all aspects of he procedures. Plus all product advice given. Made me feel confident in what I did. Brilliant day, very well explained. Cheryl was excellent. Made me feel at ease (first course) Covered many of my questions regarding products & wholesale. Lots of opportunity to practice. Enjoyed and felt there was a lovely atmosphere.